Deathclaw control scrambler - The Vault Fallout Wiki - Everything you need to know about Fallout 76, Fallout 4, New Vegas and more! The deathclaw control scrambler is an quest item in the Fallout 3 add-on Broken Steel. Obtained from Scribe Vallincourt, the scrambler automatically turns any Enclave-controlled deathclaws friendly as long as you are within range of the Enclave Domestication Unit. When the Lone Wanderer is going out of range, the device will first start to beep periodically and finally the deathclaw will die. When the Lone Wanderer is carrying the device, the friendly deathclaw will follow the Lone Wanderer, attacking any enemies in the deathclaw's range. The item uses the world model of a fresh apple, most likely because it is a quest item and can never be dropped. The scrambler only acts on deathclaws which have an Enclave Domestication Unit on their head; this can be seen up close as a metal apparatus with what look to be "blinders" next to the deathclaw's eyes. Care should be taken to check for the transmitter before any deathclaws are released, as not all deathclaws in Enclave cages have been fitted with transmitters; some are still wild and will attack the Lone Wanderer if released. Always wait until after the friendly deathclaw has killed all enemies nearby before moving on, because if the Lone Wanderer moves on ahead, and the deathclaw runs back to kill the straggler, there is a high chance it will explode. Controlled deathclaws will act as temporary followers (though they can not be spoken to nor otherwise controlled). They will fast travel with the Lone Wanderer, dying instantly when you reach your destination. As the Lone Wanderer didn't make the kill, he/she does not earn XP. 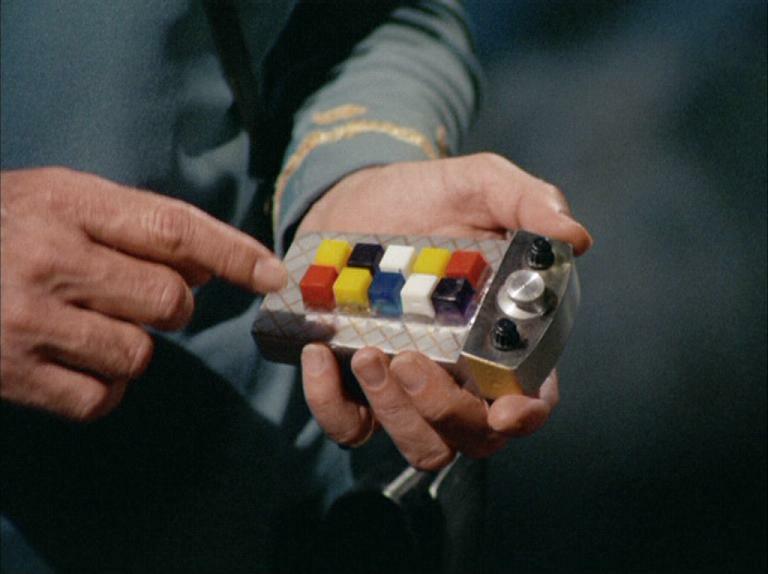 The Pip-Boy image is identical to the device used to control brainless Spock in the Star Trek: The Original Series episode "Spock's Brain." PC After fast traveling or simply entering into a new location there is a possibility that a Enclave controlled deathclaw will spawn very close to the player. This can happen instantly after you get the device. The deathclaw will always attack anyone whos not apart of your party regardless of their disposition to you. Known Locations where an Enclave controlled deathclaw has spawned/followed after fast traveling or by simply entering a new area: Megaton, the Vault 101 entrance, The Museum of History/Underworld, Canterbury Commons, Citadel, Warrington Station, Point Lookout, The Pitt Downtown, and entering the HQ of Reilly's Rangers. Xbox 360 Mind controlled deathclaws will sometimes not even leave their cage when interacted with. When a second controlled deathclaw appears, both will be friendly but one will be treated as being out of range and will eventually die. There was one occasion after receiving the device and fast-traveling to Chaste Acres Dairy Farm, a regular deathclaw will appear to follow the player, but it is marked as hostile. After all the enemies (and brahmin) in the area are dead, the deathclaw will turn against the player. It is not known if this is a bug or not. The controller may turn a deathclaw friendly towards you, but it will not become hostile towards nearby Enclave forces. Instead, the deathclaw simply returns to its cage and completely ignores any combat between the player and Enclave forces. The deathclaw does attack creatures, raiders, or Talon Company mercs that approach near it. If a controlled deathclaw ventures outside of the scrambler's range to attack a hostile creature or non-player character and gets killed in the process before the scrambler itself kills the deathclaw, the "beeping" sound which notifies the player that the deathclaw is exceeding its range will not cease until the player fast-tracks a considerable distance away. The beeping sound may even resume upon returning to the same area. On at least one occasion (on hard) fast-traveling to Deathclaw Sanctuary, where there is an Enclave-controlled deathclaw waiting for you, the deathclaw immediately falls dead, as if you had the deathclaw in your control and then you went out of range. On at least one occasion a deathclaw will suddenly be following you post-fast-travel and will be perfectly friendly to everyone in Tenpenny Tower or Megaton until it meets your robo-butler. Then it will attack the bot. Killing the deathclaw causes it respawn, friendly to you and hostile to the robot, on its own corpse every few days. Allowing it to kill the bot will not respawn the bot. This page was last edited on 11 March 2013, at 21:46.